Web Design Our web designers can change your ideas into reality by using their creative talent and knowledge of website standards and practices. Our websites are unique in design and designs itself represents the nature of business. Software Development DVS have developed many application software for different industry. Our most commonly used application software is Billing software, Visitor management software and Feedback management software. Internet Marketing DVS Technologies provides best search engine optimization services with proper strategy, plans and suggestions for high positioning of customers business on famous search engines such as Yahoo, Google and MSN – to name a few. DVS is a Quality Software Development and Innovative Web Design Firm providing value added application design, development and services located in Bangalore, India. We provide fully customized solutions to make your brand succeed with eye-catching design and necessary functionality. Application software, also known as an application, is computer software designed to help the user to perform singular or multiple related specific tasks. Examples include enterprise software, accounting software, office suites, graphics software. 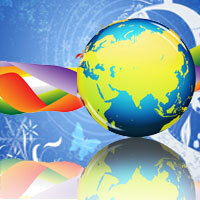 We have developed many application software for different industry. Our most commonly used application software is Billing software, Visitor management software and Feedback management software. I would like to appreciate the initiative taken by the DVS Group to automate the whole Adi Chunchungiri Math day to day activities. Every Module and functionality which we were looking in our software are met with stringent timeline provided by us. I have received much appreciation for my website. The credit goes to DVS Technologies for their hard work and creativity. The website was up in record time. 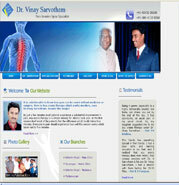 DVS also provided us a timely solution and all our queries were solved right away. They handled our poll campaign effectively and efficiently. My experience with DVS was very positive and extremely professional; we wanted our website to come in the top position. This thing was done within the given time period. The team at DVS has been a pleasure to work with and they continue to work to make the site better and more user-friendly. Finding the right service provider to help make this goal a reality was a key. 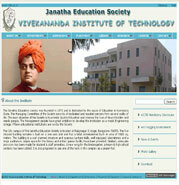 We wanted to develop website for all of our institutions. 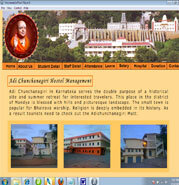 For this we needed a company that can bring all of our institutes under one umbrella. Their professionalism combined with their low cost has allowed us to do things that I didn't think were possible before working with them. Now they are one stop for every web solution. 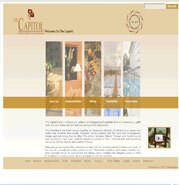 The Capitol hotel is already known name in the market. When we decided to change our service provider we needed a company that understood the importance of our name and relay that to public. We had some specific ideas that we wanted to implement in the website. We got everything on time and as we wanted it to be. 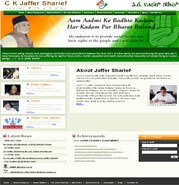 Also, they are maintaining our website with great enthusiasm. It is a please to get associated with this organization.